KATHMANDU, Aug 25: Singer of popular Nepali song, ‘Wari Jamuna Pari Jamuna’, Khem Raj Gurung passed away on Thursday. Singer Rajesh Payal Rai told Republica Online that Gurung, who was undergoing treatment at the Chabahil-based Medicare Hospital for jaundice, breathed his last this evening. Although the family members were preparing to airlift Gurung to New Delhi, India for further treatment, the doctors attending to the singer had kept him on a ventilator life support citing critical health conditions. He added that preparations were underway to take the dead body to Tribhuvan University Teaching Hospital. Gurung is survived by two daughters and a wife . Singer of popular Nepali song, ‘Wari Jamuna Pari Jamuna’, Khem Raj Gurung passed away on Thursday. 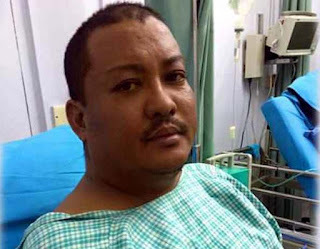 Singer Rajesh Payal Rai told Republica Online that Gurung, who was undergoing treatment at the Chabahil-based Medicare Hospital for jaundice, breathed his last this evening.